In F1, as in life, everything is connected to everything else. Every action has a ripple effect throughout the pitlane; every gap created has to filled. And unless you've been living in a cave these past couple of days, you'll be aware by now that Lewis has decided to shake the kaleidoscope, not only of his own career but of contemporary F1, by announcing that he'll be leaving McLaren for Mercedes at the year's end. It's the first time since the off season of 2009/2010 that a major driving player in a major driving team has switched employers. The ripple effect of this switch will be felt throughout F1, most heavily at the McLaren team he's leaving and the Mercedes team he's joining but also felt much further potentially. It only remains to be seen where the kaleidoscope pieces settle, and when, both for Lewis and for everyone else. There has been a lot of speculation as to what encouraged Lewis to reach his decision, and in reality it's likely that no one aside from Lewis himself and a few close to him know the real reasons. It cannot be denied that on competitiveness grounds the move is hard to justify, at least in the short term (though Lewis may be looking a bit further ahead, for various reasons). But while it seems the basic retainers on offer at McLaren and Mercedes were pretty similar, at his new abode he'll have much more freedom to develop 'brand Lewis' (and he must be interested in this, he wouldn't have signed up with XIX Management in the first place if he wasn't). Many auxiliary reasons have been touted too: that he feels constrained at the 'paternalistic' McLaren and, rather like kid who grew up, is keen to flee the nest and prove himself 'on his own'. The sporting challenge of building up a team that's all potential but currently struggling may also be tempting (as Michael Schumacher was tempted by the Ferrari challenge in 1996), as might the possibility of making a team very much his team, as Fernando Alonso has done so transparently at Ferrari. Yet it can't be denied that Lewis is living a little dangerously with this move. McLaren, whatever the drawbacks of staying might be, is currently a fairly safe bet to take you somewhere near the sharp end of the grid consistently, while the only thing consistent about the Brackley squad under its various guises over time is underachievement. Watching what happens next will be fascinating. But what does it all mean for Mercedes? Well for one thing it's just about as firm a commitment to the team staying in F1 as you can get, just as much as signing the Concorde Agreement would be. So, scratch the speculation that the marque's on the way out of the sport as a constructor. More presciently though the cars that Mercedes has been producing since its return as a constructor have failed consistently to be nearly as competitive as where Lewis expects to be. So this cycle must be broken one way or another. 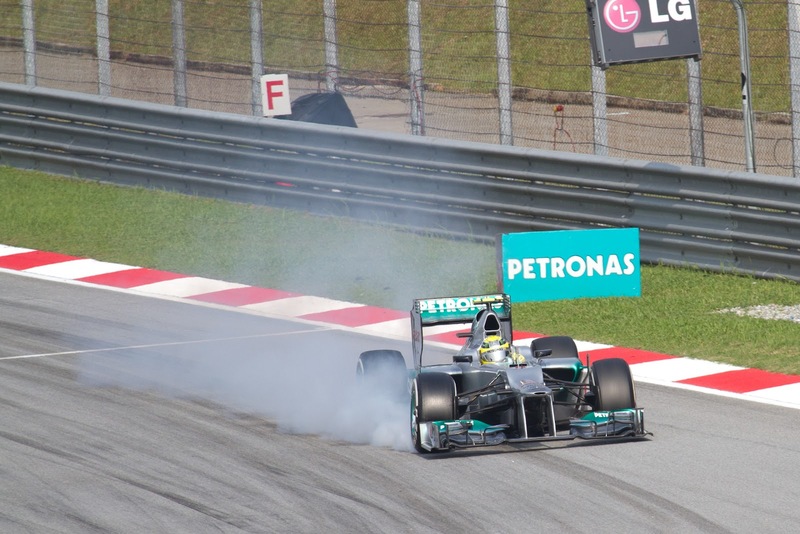 Many look ahead to 2014 when, so the wisdom goes, with new engine regulations introduced Mercedes being one of only two F1 teams which builds its own engines will put it at an advantage. That may be true, and indeed there are some reasons to think that things may be on the upturn sooner than that: Mercedes team principal Ross Brawn has made lots of personnel additions and changes in recent times at Brackley, and many of these will not have had an opportunity to make themselves told on the creation of this year's car, so it could well be that the 2013 machine flies. With Lewis now on its driving strength all of the required ingredients look to be there at Mercedes; it now remains to be seen if the team can blend them together. Lewis will also give Mercedes a much needed fresh perspective on its car as well as a seam of knowledge of McLaren's way of doing things that will be of benefit. Plus, recruiting a driver of Lewis's abilities can only have a galvanising impact on the Mercedes team. But, as things stand, it's all potential, and there are more questions than answers. And I'm pretty sure that Merc has promised 'jam tomorrow' a few times before. Make no mistake, it's Mercedes's reputation on the line next year and beyond, not Lewis's. The Brackley team will have nowhere to hide. Perhaps that's exactly what it needs. And what of the team Lewis is leaving? McLaren will be hoping Lewis doesn't prove to be a Cleopatra-like figure, leaving it bewildered after the love affair is abruptly and unilaterally ended by him. Indeed, one can recall that, for all we say McLaren is a consistent presence near the front of the F1 pack, it did experience a rather extreme trough post-Ayrton Senna (and post-Honda engines) in the mid 1990s. Plus, from next year McLaren starts to pay for its Mercedes power units, and some have questioned how long its title sponsor will be hanging around for too. So, much for the team to ponder. Martin Whitmardh - a blow to his credibility? For all that team principal Martin Whitmarsh has sought to put a brave face on things in recent days it can't be denied that losing a driver of Lewis's quality is a body blow to the team, as well as to Whitmarsh's credibility. The team moved quickly to undercut the Lewis/Mercedes announcement as best it could, by announcing Sergio Perez was to replace Lewis before Merc got its own announcement out and seeking to present it as a good news story. 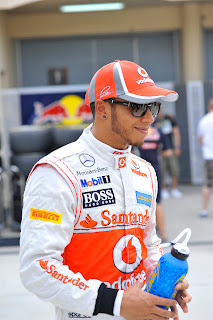 However, Whitmarsh nevertheless admitted that Lewis was his first choice for the drive, and he hardly could not have done. One way of reflecting what Lewis offers to McLaren is, while 2012 has hardly been a vintage year for McLaren, to imagine if the team had two drivers performing at Jenson Button's level this year. Its summer would likely have been one of bewilderment and most probably panic. It was Lewis who to a large extent kept the team's season roughly on course. As mentioned, next year it is Sergio Perez who comes in to replace Hamilton and thus partner Button in McLaren's driving line up. With Perez comes potential certainly, though as regular readers of this blog may be aware by now I'm a bit more cautious than some on the exact amount of potential that is there (some of the second coming talk about Perez after Monza was ridiculous, frankly). We know that he's adaptable, in that his gentle tyre management shown in many races is a world away from his furious hustling of a car through Monaco for example, as well as is confident and not cowed by the big boys. And the mistakes of his debut year in 2011 seem to a large extent to have been eliminated this season. However, his three high tide watermarks in the current season - second place finishes in Malaysia and Monza as well as placing third in Montreal - have owed at least something to the Sauber C31's freakishly good tyre life when rather voodoo-like circumstances align. So as things stand it's difficult to know the exact amount that Perez is personally bringing to the party. And while we all remember the three spectacular podium runs, there has been at least twice as many plain anonymous drives from Checo in 2012. Indeed, rumours circulated around the time of the German race that the Sauber team wasn't especially happy with either of its drivers, including Perez, and felt that the C31 was an even better car than either of them was making it look. And Perez is behind team mate Kamui Kobayashi on the qualifying match up this year, by eight to six, and Kobayashi is apparently struggling for his future. Indeed, the fact that Ferrari, whom Perez was a member of its young driver programme, as far as we can tell didn't bust a gut either to get him into its car or even to ward off McLaren, may be instructive (though that the Scuderia is still doing its best to line up Sebastian Vettel, or even Mark Webber, for 2014 possibly complicated things). Of course, Sergio's still young, only 22, is only going to improve presumably and McLaren has plenty of time to mould him in its image. 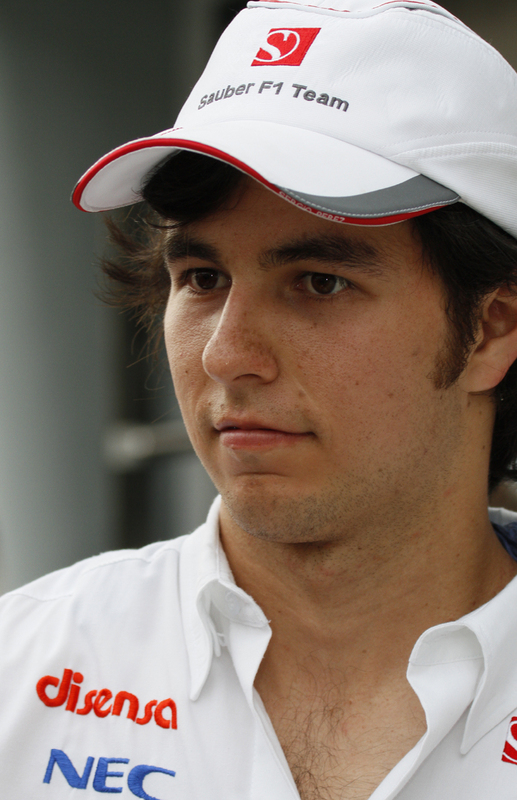 And with access to a McLaren Checo has a wonderful opportunity to prove me and others wrong. But to be honest, in the immediate term at least the Button-Perez driving line up looks more solid than spectacular. You could argue that, at a stroke, McLaren has gone from having the best driver pairing in the pitlane to only having the fourth or fifth best. And, more broadly, the team did have the two drivers of the age, Alonso and Hamilton, but five years ago; one way or another it has lost both and not on good terms (and this in turn follows on from losing the likes of Prost, Lauda, Raikkonen and Montoya amid acrimony too). Of course, the details in the cases of Alonso and Hamilton remain thin on the ground, but as a topline it doesn't look good. On the other hand, a major difference between now and the McLaren team post-Senna is that McLaren's formidable engineering resource remains in place, whereas at the end of 1993 that had been rather neglected and a lot of talented people had left, in part because Senna's wage demands were such that little was left to spend on engineering (it may offer some clue as to why the team was reluctant to give Lewis a blank cheque now). So, unlike then it's hard to envisage a major drop off from the pace at McLaren, at least in the immediate term. One thing will change for McLaren though, and Whitmarsh has admitted as much. Either by accident or design the team has been promoted rather as a British national team in recent years, with an all-British driver line up and a British title sponsor (odd in a sense, given that historically McLaren was never viewed as quintessentially British in the way that, say, Williams or Lotus was). 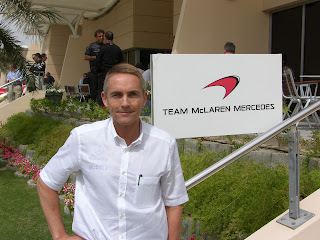 But Whitmarsh has admitted that part of the reason the team went for Perez over Briton Paul Di Resta was that he feels that team have rather exhausted the commercial potential of the British national team approach. And in any case you'd have thought that without Lewis there would have been a major dilution of its claim to exclusive British interest. Next year should therefore see the return of McLaren International, with the emphasis on the second bit. Then there is the forgotten man in all of this. For much of the past 20 years it would have been impossible to imagine his being treated in such a way, but Michael Schumacher, while a significant piece in the jigsaw, has been confined to a footnote in all of this, quietly dropped by Mercedes to make way for Hamilton. So what now for him? As explained on this blog in recent days, despite the egregious error in Singapore and that he's a small matter of 43 years of age, Schumacher has performed entirely respectably this season, arguably being the more convincing of the two Merc pilots and behind on points mainly due to evil luck. Indeed, the trajectory has been of Schumi's driving improving year-on-year since his comeback, not getting worse. And over and above his driving competence any team that signs him up would also be getting the considerable commercial benefits that he offers, and which swayed Mercedes to stick with him even during his difficult return to the sport in 2010. 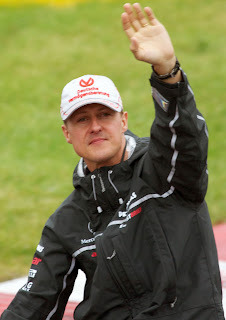 Michael Schuamcher - what now for him? Ross Brawn has said that part of the reason the Hamilton to Mercedes deal gathered momentum was that this summer Schumi wasn't committing to a decision on whether to continue next year, but a man who turns up to an unglamourous young driver test in Magny Cours to check out the latest tech upgrades, as Schumi did, doesn't strike me as a guy minded to stop. And as we saw in his first retirement, without F1 it's not clear what Schumi would get up to, within within or without motor racing. Certainly, he's never shown much or any interest in moving into other forms of motorsport. So, what if any avenues exist for Schumi should he wish to stay in F1? Sauber is the most obvious destination, and not simply because that's where the empty seat is in this particular round of musical chairs. Peter Sauber and Schumacher go way back, all the way to Schumi's sportscars days when Sauber ran the Mercedes team, and Sauber said a week ago that he would offer the seven-time champion a drive if he became available. And, for all we associate Sauber with nurturing young drivers, the team has opted for experience plenty of times in the past too: Pedro de la Rosa, Heinz-Harald Frentzen, Jean Alesi among others. Indeed, Schumi may have one of two Sauber seats to aim for, with as mentioned the team thought to be not too enamoured with Kobayashi right now. Also, the name of Williams has been mentioned in dispatches, which isn't as silly as it might seem. Sir Frank's always been an admirer and indeed tried to recruit Schumi in 1996 (though was rapidly priced out of the race). The major problem with this of course is that the team is retaining Pastor Maldonado presumably and already has two drivers (Bruno Senna and Valtteri Bottas) fighting over the remaining drive. The shaken kaleidoscope pieces will settle again eventually, as they inevitably do. But watching where they settle, and how quickly, will be a fascinating process. Hamilton to flee the nest?